Running a business is tough work, especially when there are lots of competition. These days, having a physical store isn’t enough. You need a phone number, an email address, and even a website. Almost everyone has access to the Internet now, so it’s hard to ignore the potential of being able to tap into a wider audience online. A web hosting provider can help you launch a website, be it a simple page with basic business details or a full-blown eCommerce site where you can sell all your wares. One such web host is Register.com. Register.com is best known for their domain registrar. But as the company grew, they have expanded their services to include web hosting, web design, SSL certification, and other web solutions. They provide essential tools that individuals and small businesses need to create a strong online presence. 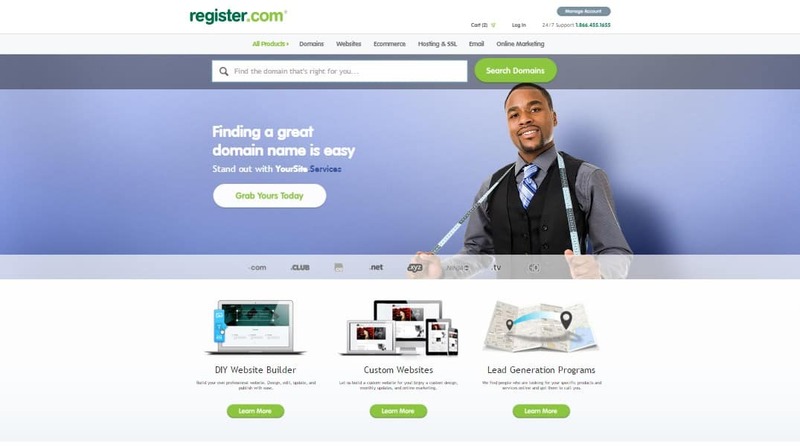 Register.com has been in the industry for more than 15 years, providing over 40 different products, managing 2 million domain names, and serving hundreds of thousands of satisfied website owners. Register.com offers a trio of standalone shared web hosting plans, namely Essential, Professional, and Premium. You can opt for a 1-year, 2-year, or 3-year contract. Now if you visit Register.com’s homepage, you won’t immediately find the prices for their hosting plans. What’s more, they only display their special introductory prices, which only apply to the first month of service. The promotional prices are: $5.95/month for Essential, $7.95/month for Professional, and $9.95/month for Premium. Again, these are the pricing for the first month only. I tried signing up for their Essential plan, for a 1-year contract. I didn’t see a $71.40 total payment being displayed, which is what I would have expected to see. Instead, the final price appeared to be $170.40, which is a bit of a shock if you’re paying close attention to the numbers. So, what’s the real deal here? Register.com’s hosting plans come packed with features to meet your website needs. The basic hosting plan, Essential, offers 300 GB disk space, unlimited monthly data transfer, one free domain, 10 emailboxes, and 25 FTP accounts. The Professional plan builds upon the Essential plan, except that it has 500 GB worth of disk space, 25 emailboxes, and 50 FTP accounts. The Premium plan offers unlimited storage and bandwidth; but the number of emailboxes is still capped at 25, as well as email storage, which is at 50 GB. While the features are just enough, they’re far more expensive compared to other web hosts. Just like BlueHost, they offer unlimited bandwidth on all their hosting plans. However, BlueHost trumps their offers by providing unlimited email accounts on their high-tier shared hosting plan, as well as higher email storage on all their shared hosting packages. That said, Register.com offers a few perks of its own. For one, you can choose between Linux and Windows operating systems (OS), depending on the type of programming languages you use. Not all web hosts give you this option, so it’s a big plus for me. Most people would go for a Linux platform since it’s compatible with PHP, Ruby, Perl, Python, and other programming languages. It’s also the most popular and if you’re purchasing a hosting plan for the first time, Linux is much easier to use. If you’re looking to use specific Windows programming languages like ASP or ASP.Net, however, choosing a Windows platform is a more viable option. Apart from this, you’ll also get access to a shared SSL certificate and the AWStats website monitoring tool – right off the bat! 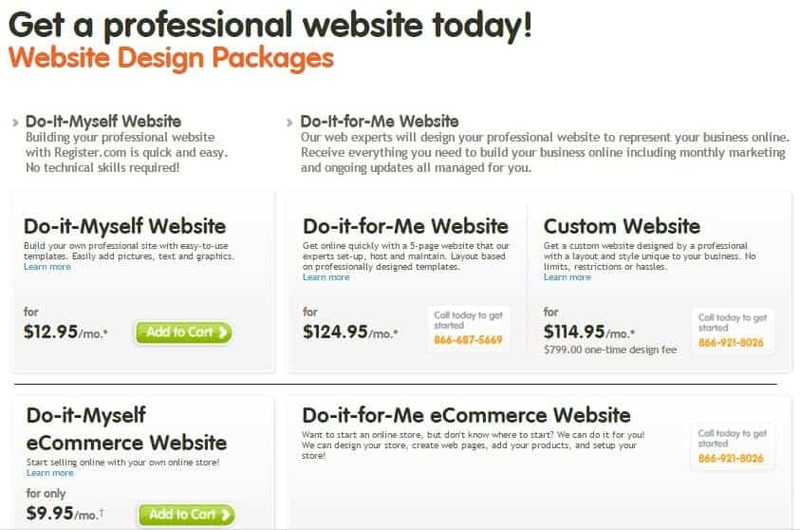 They also offer specialized website builder plans, which I’ll talk about later. If you need more power and are expecting high-traffic volumes to your website, a shared web hosting plan just won’t cut it. Unfortunately, there’s no room for scalability and expansion with Register.com, because they don’t offer Virtual Private Server (VPS) and dedicated hosting plans. If you’re looking for a more robust hosting package, consider checking out other web hosts like BlueHost, eHost, and iPage. Register.com Website Builder Plans – Downright Confusing! The easy-to-use drag-and-drop technology that comes with this website builder plan is appealing because it allows you to create a great-looking website in just a matter of minutes. The plan also offers better-looking templates so you can launch a site without hiring a designer. You can also add your own text, images, and graphics, or select from the stock image library. The professional industry copy will also come in handy because it provides relevant text based on the kind of business you’re running. The plan even comes packed with dynamic content, including interactive maps and custom-built forms that you can easily add without programming. 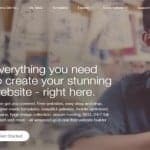 Register.com claims that this plan comes with everything you need to create a professional web design for yourself – no technical skills necessary. The thing is, their shared hosting plans already come with a website builder tool. It appears that Register.com is just trying to get me to buy more services. I looked for the website builder that came with my hosting plan, but I needed to get in touch with a customer service rep just to find it. I was asked to click on the name of the hosting service from my account in order to access the dashboard for managing my site. But even that was hard to find! What’s more, the dashboard was plain-looking. Another disconcerting thing is that once you publish your pages, the website builder will bring you back to the dashboard, except that this time, it looks entirely different. There are actually two pages, with the first page containing links to various sections of the second page. Figuring out how to get back to the first dashboard was quite complicated, and I never really figured it out without logging back in. Talk about labyrinthine! Apart from the Do-It-Myself Website plan, Register.com also has a so-called Do-It-For-Me Website plan. 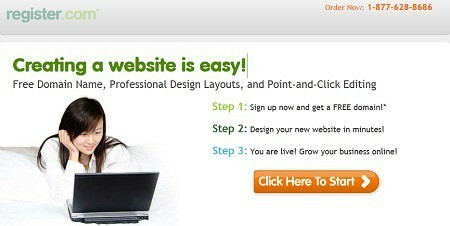 If you’re too busy to set up your own site, Register.com can do it for you by opting for this website builder plan. They have a team of experts who are standing by for a free, no-obligation consultation. By choosing to have your site built by Register.com, you’ll get the benefit of having a customized website design and monthly marketing to connect with customers and prospects online. The features and services offered in this plan are quite appealing, but take note that professional web design and development services often come at a hefty price. By opting for this plan, you’re pretty much hiring them to do the job for you. While it’s a tempting offer, it’s best that you learn the ropes yourself and create your own website. Hiring someone to do the job should be your last option. If you really want to opt for this plan, take note that there is no upfront charge for building your website. Afterwards, ongoing site maintenance, hosting, advertising, and other service fees shall apply. It’s all the more important to get in touch with their team so you’ll know what you’ll get yourself into. Try digging deeper into Register.com’s site and you’ll find that they also offer eCommerce hosting and web design services. And just like their website builder plans, you can choose to either build an eCommerce site yourself or let Register.com’s team of experts do the work for you. 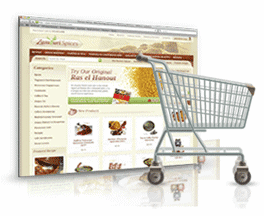 You can use Register.com’s advanced technology to add an online store to any website. Simply configure your products; add them to your existing blog, website, or hosting plan; and you’re good to go! With the product setup tool, you can easily add products (physical or digital), as well as gift certificates into your online store. You can also set up pricing, product options, inventory levels, and apply changes in real time. Attract customers and prospects to your eCommerce site with the help of various marketing tools that come built with this package. Gain more site visitors using an SEO-friendly software and attract clients with the Comparison Shopping Engines, Facebook, and AddThis tools. Keep track of your business growth with the Google Analytics integration! Security is a top priority in any eCommerce website. By using the in-built Payment Card Industry (PCI) compliant eCommerce software, you can protect your customers’ private information. All transactions made in your site are encrypted to protect you and your customers from prying eyes. Provide various options for your clients to pay online, in real time. With this eCommerce package, you can let your customers pay with credit card, PayPal, Google Checkout, or even custom payment methods. Your customers can follow order fulfillment using their online account or you can send them automated emails with status updates. You can choose from three different plans: Starter, Standard, and Premium. Right now, Register.com has limited-time offers on all plans. The Starter plan is currently at $9.95, the Standard plan is at $14.95, while the Premium plan is at $19.95. Take note, however, that this promo is only valid for the first month, after which current retail price will apply. What’s more, Register.com charges setup fees, unlike other web hosts that provide instant setup without additional cost. Rest assured that you’ll always have someone to guide you every step of the way. This package includes all the necessary tools and services to get you started, from setup and hosting, to merchandise updates and technical support. As with their Do-It-For-Me Website Builder plan, I highly recommend you purchase any of their hosting plans and do the website development and design yourself. Hiring a professional can be costly, and the folks at Register.com are no exception! Make it your last resort if you’re really pressed for time and you really couldn’t commit to doing the heavy work yourself. Otherwise, this plan could be one of your options. Unfortunately, Register.com is one of those web hosts that don’t offer managed WordPress hosting plans. 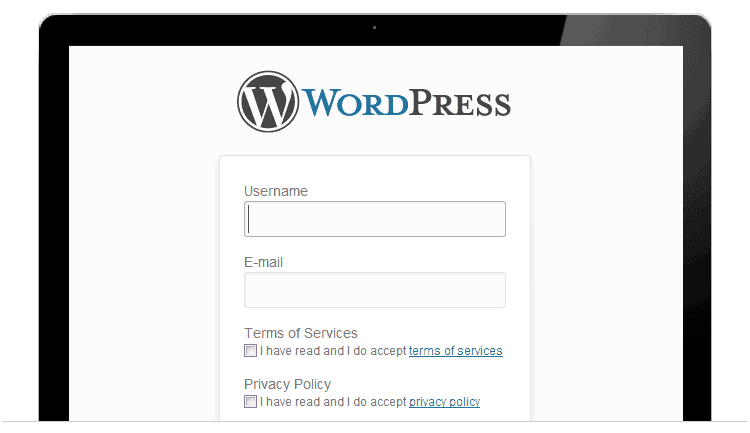 This means that you have to add the WordPress application yourself. The first dashboard page I mentioned earlier has a WordPress icon with a helpful “Add” button. Clicking this will direct you to the Open Source Applications library and straight into the installation wizard. It’s straightforward. If you’re already on the main dashboard, you can also just go to the Site Enhancements menu found at the left side of the screen, click on Open Source Applications, and then click the WordPress icon. The simple setup screens would feel familiar, especially if you’ve already tried out other web hosting control panels before. And I like it that Register.com allows you to specific the WordPress site/blog to be the main site. What’s more, they won’t force you to hide it under a directory. The sad thing is that they don’t have a nifty import button, unlike the one you’ll see in web hosts like iPage. 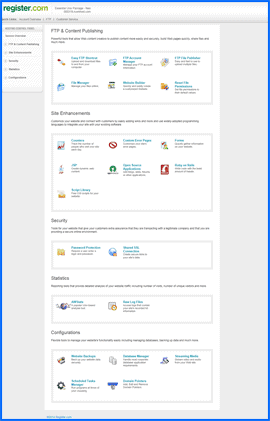 Register.com uses the industry-favorite cPanel control panel for creating, managing, and maintaining hosted websites. It’s an easy-to-use control panel that comes with large icons. With it, you can create new email addresses, monitor website statistics (i.e. number of site visitors), manage files and databases, and more. The problem with Register.com’s cPanel is that many people (including me) have had a few usability issues. For example, I was confused about accessing the control panel and I had trouble finding the right login page for it. Once you’re logged in, however, it won’t be too difficult to use, though they’ve significantly cut away some features that are usually found in cPanel. The limited features can be quite frustrating, especially for those who want more advanced features. Register.com also uses the familiar Fantastico script interface from which regular tasks work exactly the same as they would with another web host. Overall, the control panel’s layout is clean and simple (if not too simple). It’s easy to navigate, and pretty much all the tools you need are easily accessible. If you’re curious about Register.com’s money-back guarantee or refund policy, save your breath because you won’t find it anywhere on their site. Even if you find that “Please click here to review our refund policy” link, it won’t take you anywhere. I had to get in touch with a customer representative before I found out that they have a 30-day money-back guarantee, although I was disappointed that she couldn’t explain why there was no mention of it on their site. Not having it in writing will only make potential clients nervous, especially those who want to test out their services first before deciding to stick with them for good. What’s more, I found out that they don’t offer refunds for their Do-It-For-Me customer website services, so once you’ve approved your design composition and/or have chosen a website template, there’s no backing out. Register.com claims to offer 24/7 live technical support, with an experienced customer rep ready to help you whenever you need it – day or night. They can be reached via telephone and email. Well, they’re not exactly available 24/7 because you can only contact them between 9AM and 12AM during weekdays, and between 9AM and 10PM on weekends. Unfortunately, there is no live chat support and a ticket-based system, unless you sign up for their dedicated customer support. I tested their phone support at around 10AM on a weekday and waited less than a couple of minutes to speak with someone. I asked about the difference between their Build-It-For-Me and Do-It-Myself plans. I was satisfied with his answer, and I had to give him a thumbs-up for being thorough. As for email support, I had to wait about an hour before someone responded to my inquiry. If you need immediate response from their team, it’s best to contact them via phone. Register.com may be a veteran in the web hosting industry, but with more and more hosting companies providing more reliable and affordable services, it seems like they’re falling behind the competition and need some serious improvement. Their hosting plans fail to measure up to other well-known web hosts, with limited disk space, bandwidth, and email accounts, among others. With these, you’re likely to find yourself wanting more. Yes, Register.com may be good in terms of providing quality shared web hosting packages, but there’s nothing much to impress you besides that. There are far more affordable and better hosting packages out there that offer scalability and room for growth, and are dedicated to satisfying their clients. One of the best domain registrars, but are they still as good as they claim to be? Established in 1995, they are one of the leading domain and hosting services way back, but are they still as good as before? Thanks for your review. It has has been of help.